Minnesota readers may have heard that the St. Paul Macy’s store recently closed. A spokesperson for the company attributed the decision to normal-course adjustments, rather than specifically citing poor sales performance. For many local residents, the closing — after 50 years in that location — invites nostalgia. For other local residents, however, the closing has prompted more serious concerns. Company officials report that more than 150 employees are either getting severance packages or being offered jobs at other locations. The specific terms of the severance were not disclosed. In the case of high-level executives, severance packages might be contractually agreed on before the executive even accepts an offer of employment. Often, an executive will have consulted with a severance agreement lawyer on the specific terms. In the case of other professionals, however, a severance agreement might simply be presented to them on the unhappy occasion of a reduction in force, layoff, or the closing of a store location. In the event of a layoff, an employer may simply provide a financial package to employees, calculated according to the number of years worked. Yet an employee will likely have many more questions, such as concerns about retirement, pension and stock plans, as well as their health care coverage. An employee may also question whether their employer will offer them a letter of recommendation, make outplacement services available, and explain to them how to apply for unemployment benefits, should the need arise. What this brief discussion illustrates is that the subject of a severance agreement often raises other issues. For that reason, a severance agreement lawyer can be an incredibly helpful resource. An attorney that specializes in this area of employment law will know how to anticipate all of the contingencies that can arise with severance pay agreements, in either a proactive or defensive posture. Source: CBS Minnesota, “St. 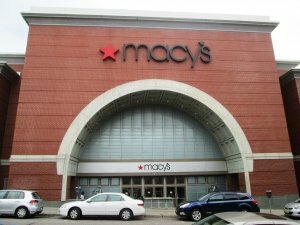 Paul Macy’s Closing for Good Saturday,” March 15, 2013.